WTFCanada is a web portal dedicated to reporting on news and happenings from the martial arts scene of Canada and the world. 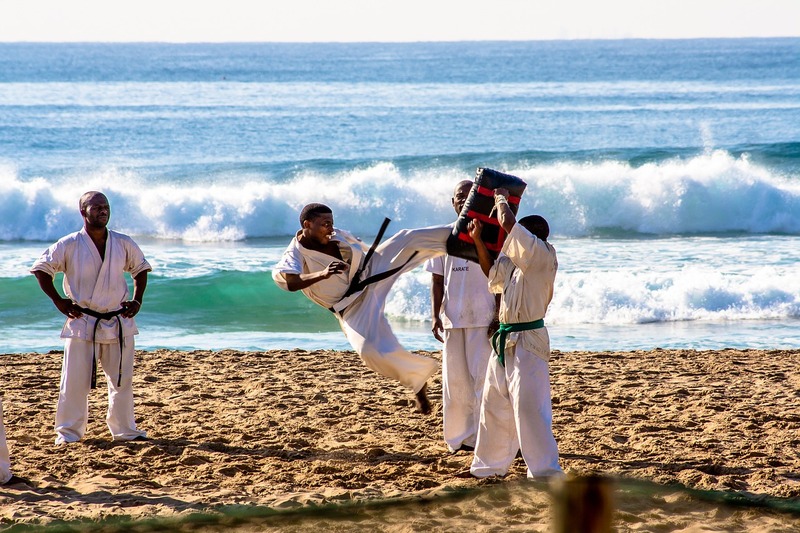 Due to people, especially the younger generations, having less and less interest in martial arts as a hobby, we envisioned this portal as a sort of mix of modern and the traditional. Team behind WFTCanada will try to make things more interesting by featuring stories like the karate school in Saint Louis that used budget friendly kids drones to capture stunning video footage of practice, that way combining the sport we love with modern gadgetry that everyone seems to be crazy about nowadays. We traveling the scene quite a lot, and some martial arts schools have even started including classrooms with tablets for showing proper techniques during lessons. It’s an ingenious way of learning proper technique and form. We all have favorites, for pretty much anything. Same thing is true for martial arts. Most of the WTFCanada team trains and prefers taekwondo. Your taste might be different. Tell us what’s your preferred martial art style by voting in the poll down below. 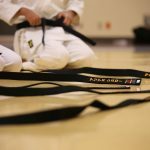 What is your favorite school of martial arts? Every student makes mistakes, nobody is prefect and it takes time to learn a technique. Sometimes the mistake that is being done is difficult to explain to the student. I’ve seen this happen numerous times. There’s only so much that can he described with words, especially when talking about more complicated moves. That is where video should come in. For difficult to explain mistakes, teachers should use video recording of the student practicing or sparring to show the mistake as its being made. Recording practice sessions and then analyzing the video later on has been done in several schools that I’ve visited. While having practice out in the open, some schools even used durable camera drones to record aerial video to show student tips on what to change to improve their technique. Our motto is that schools should embrace the modern, and this is a great way of doing just that. More seasoned martial artists among you, regardless of type of style, are probably wincing at the very taught of introducing “apps” into student training. You shouldn’t be so quick to dismiss technology though. There are lots of different apps for both Android and iOS that are a great starting guide when learning the basics of a martial art. 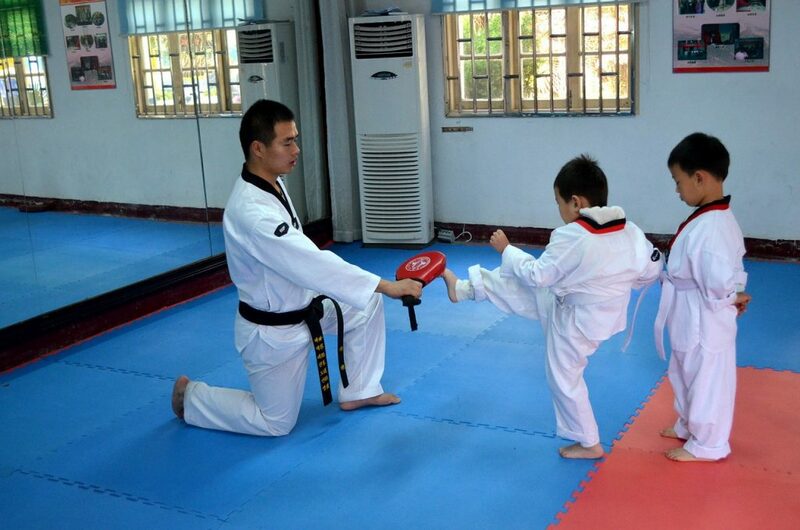 Take for example “Learn Martial Arts” app for Android. 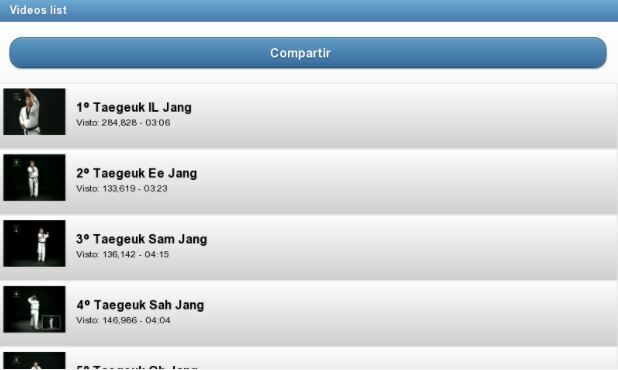 It is a small app but it lets you learn about 7 major schools of martial arts. We’re talking karate, kung fu, taekwondo, judo, taichi, capoeira and aikido. Each of the fighting styles on the list has a section where you can read up on fundamentals and the history of the style. Karate, kung fu and taekwondo also have a section that show proper execution of forms. We’re talking short 20-30 second video clips of experienced martial artists showing how things should be done. This exactly what I was talking about when I said that martial arts school should embrace the modern more, so that younger generations show more interest in the art form. Over the years we have visited hundreds of martial art schools. We met many different people, and took a lot of amazing photographs. Here’s a small portion of our gallery that features some of moments that we have captured over the years. We’ll be posting more on our blog as we find the time to organize and edit everything. Also we’re working on buying a good quality video drone for selfies, to make better recordings. If you happen to have suggestions for a good quality cheap one, get in touch with us, we can use all the advice we can get. We are proud participants of the national efforts in the fight against bullying. As of this month we are working on setting up talks about the issues of bullying and how practicing martial arts can help kids who have been bullied get their confidence back. Many kids who have witnessed bullying have their confidence shattered, one way or another. Many martial arts teachers will tell you that you can actually see on kids faces as they are studying and practicing martial arts more and more that they’re beginning to be sure of themselves, and they are getting out of their victim mentality. It goes without saying that we are not advocating kids to exact revenge on their bullies, or anything like that. I think you’ll find many martial arts are defensive in nature, and they teach pacifism as the “prime directive” so to speak. All kids who sign up to one of the participating schools during the fight against bullying month will be taught to always use words first, and if that doesn’t work, always to only defend themselves, to get out of the victim mentality. Get in touch with us to find out more. Here’s a quick thought of the day on taekwondo practice. 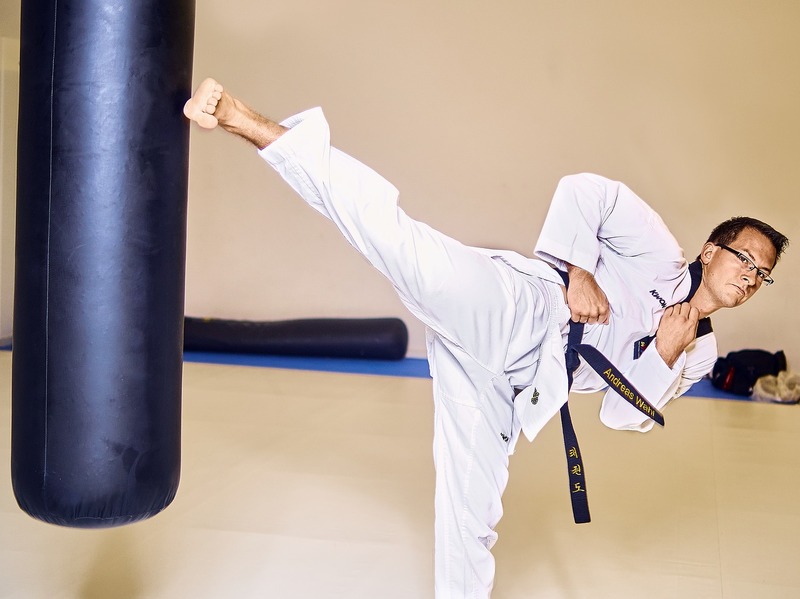 “The most difficult part of traditional taekwondo is not learning the first kick or punch. 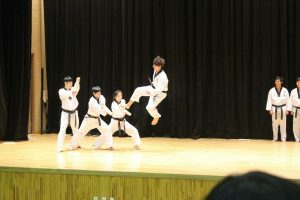 It is not struggling to remember the motions of a poomsae or becoming acquainted with Korean culture. There aren’t that many capoeiristas here at the WTFCanada team, or should I say, there aren’t any of them. I, and by I, I mean Mattie, am trying to get into capoeira. So far I haven’t had any practice. I’m only scouting this martial art that I have so far only seen in TV movies. More and more MMA fighters seem to be using it in their matches. Not that I like that violent aspect of MMA, but some of those moves I’ve seen are pretty interesting to look at. 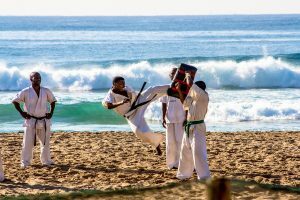 What I however like about capoeira, what drew me to this martial art, is its almost dance like practice sessions, like the one featured on the video above. I really enjoyed that. Not many other fighting styles involve such a social component, and the music is also awesome. Dance and music seem more like the focal point of capoeira than fighting. Check it out above and tell me what you think. I started listening to music during training ever since I started training basically. I initially used Buddhist sounds as a way of focusing during practice and training, but in the recent years I’ve switched to post rock as my background music. Other members of the WTFCanada team Will and Luis are listening to similar sounding of downtempo and chillwave. This list will be updated as I find more albums worth of sharing. Like it is the case with pretty much everything these days, there is a large number of web portals out there that talk about martial arts. I’m fan of a couple of them and I thought that I should feature them here on the website. Reading what other martial artists are writing about is a good way how to get a different perspective on stuff, and also new ideas. 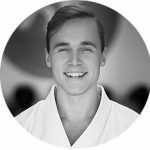 Andrew Mierzawa is the man behind the Sensei Ando website. He took the moniker of Sensei Ando. 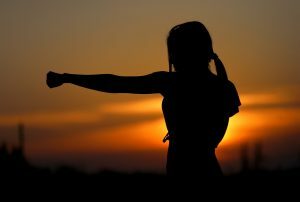 Website has a lot of useful info for beginners who are showing interest in martial arts. Ando doesn’t seem to be focusing on any particular technique, in fact, he talks more about how martial arts training can be used to improve ones life. 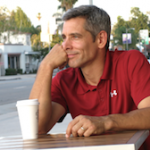 Will, our karate teacher, told me to include KarateByJesse website on this list because it has a lot of useful info for people interested in learning karate. Not just that, but there are also life lessons on how to be successful in life. Resources include things like books, videos, seminars, you name it. Website is owned by Jess Enkamp. 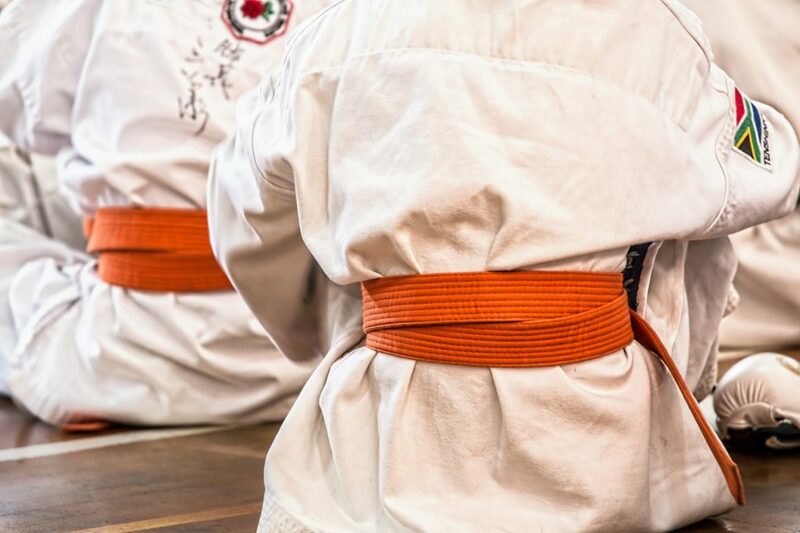 Our last website isn’t so much a blog or a web portal as much as it is a study guide for taekwondo enthusiasts. Poomse is a single page, long scroll kind of website, where you’ll find a lot lessons, examples and tips on how to master taekwondo. Of course it’s no replacement for an actual dojang and a teacher, but hey, it’s a start. Copyright © 2019 WTF Canada.